This database is the best way to get in touch with AMWA members in your community and to begin to form your professional network. 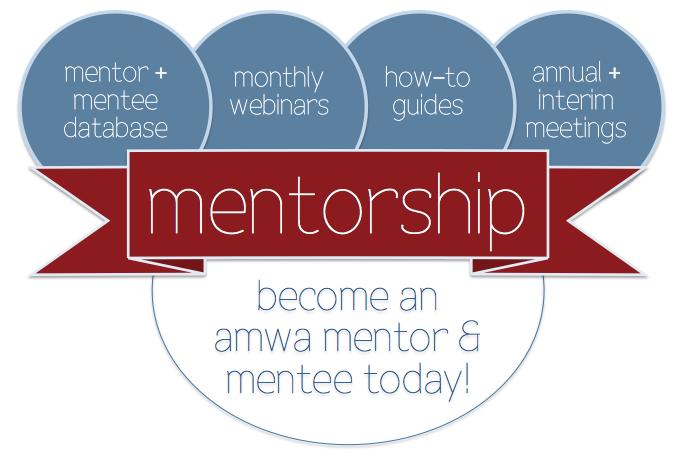 (1) Log in to your AMWA member profile and return to this page to access the links. (2) Sign up here to be included in the database or use this link to edit your existing mentorship database information. (3) Access the Charlotte Maguire Mentorship Database here and view an interactive map of all users within the database. – To use this resource, you must also add your own information to the database. This is the only way to keep this community resource vibrant and effective. – If you are looking for mentorship, please only email one mentor at a time to avoid email fatigue of our dedicated mentors. Please be considerate; err on the side of respect and be specific in your questions for the mentor. – Clarify the venue in which you are seeking a mentor – virtual, phone, or in-person, and allow the mentor to respond regarding his/her availability in that venue. – If possible, please sign up as both a mentor and a mentee. Our AMWA members range in training from premedical students to retired physicians, so there is no lack of information that we can share with each other at all stages in training.